Thailand has been a consistently good value for travelers with Australian Dollars in their pockets. This year is no exception! Hence, we've added it to our Top 10 Value Destinations for Australian Dollar Travelers.Don't wait! The Land of Smiles has some of the most friendly people you'll ever meet in the world. The food is fresh, unique, delicious, and super cheap. One of the best and safest street food scenes in the world. The variety of what you can do in Thailand is amazing. It has one of the biggest, most bustling cities in the world in Bangkok. Some of the most pristine beaches in the world. Mountains in the north. And little towns everywhere in between. There is literally something for everyone in Thailand. While the path is definitely beaten, Thailand is still great for indie travel. It's easy to get around on your own because it's been a popular travel destination for decades. No matter your budget, you can find what you want in Thailand. Backpacker traveling on $10 per day? You can do it. Luxury traveler looking for top notch hotels and restaurants? You can do that. Fall somewhere in between? No problem for you either. Start with Thailand Travel Facts & Bangkok Travel Facts. There once was a time when Thailand was a little visited country well off the beaten backpacker path. That time no longer exists. Thailand has been discovered and some might even say "ruined" by its own popularity. When you go there you will likely see other foreigners trekking around, but that doesn't mean that your experience will be ruined. If you work hard and do some advanced planning, you can experience Thailand without feeling like you are just another tourist chasing after the cheese in a crowded maze. Start in Bangkok and give it a chance. Yes, it can be chaotic, loud, dirty, and overwhelming. But if you do your homework and know what and who to avoid, there is no matching the energy of Bangkok. Hit up one of the biggest markets in Asia at the Chatuchak Weekend Market. Eat on the street. Very few cities in the world have the variety, flavors, and value that street carts in Bangkok do. Want a bit of relief from the heat? Head north to do some trekking in the mountains. Chiang Mai and Chiang Rai are the two most popular places for trekking. If you're looking for something different though, check out Umphang, Mae Sariang, or Nan, amongst other, smaller, less popular towns. Thai islands are a massive draw for travelers. Think about skipping the uber popular islands and beaches like Phuket and Phi Phi and instead head to Koh Chang (head for Lonely Beach), Koh Yao Noi, Koh Tao, or the Similan Islands. Take a cooking class somewhere. It doesn't necessarily matter where, but what better souvenir to bring home than making some new delicious dishes. Take an overnight train. The train system in Thailand is surprisingly comfortable, and the overnight trains are a hoot. Get a nice sleeper seat and bring a bottle of Sangsom to make some new friends. Read an Introduction to Bangkok. Old time travelers may scoff at what Thailand has become, but don't let that stop you from visiting. You can still have an excellent time on the beach, in the mountains or taking part in debauchery for a relatively cheap price. The capital of the country is home to somewhere in the neighborhood of 10 million people and at times it feels like it is the home to every human on this planet. The pace of life slows down and the sheer mass of humanity becomes much more manageable. Many travelers head to the southern part of Thailand to experience the party islands like Ko Samui, Ko Phan Nang and Ko Samet. The city of Chiang Mai is the gateway to Northern Thailand and is a huge tourist draw in itself. The city is filled with exotic temples and the famous Night Bazaar is a most-do shopping opportunity. Read an Introduction to Chiang Mai. It's easy to book a flight into Bangkok's Suvarnabhumi Airport (code: BKK), and airfares tend to be fairly cheap as this is a major hub for the whole region. For more on transport in and around Thailand, check out the Transportation section of Visiting Thailand - Indie Style. 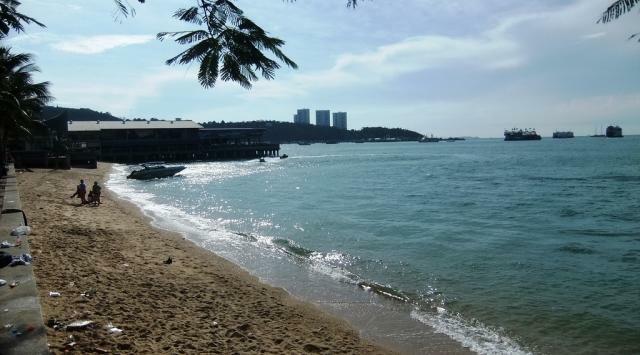 There are loads of hotels in Thailand that range from ultra budget to ultra luxury resorts. Your money goes a long way in this country as long as you avoid the latter. There are also various hostels in Thailand, although most of those are in Bangkok. For more information on accommodation options, consider camping and couchsurfing in Thailand.